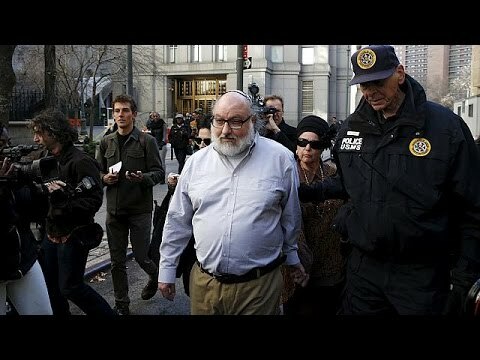 BETHLEHEM (Ma’an) — Israeli Prime Minister Benjamin Netanyahu on Friday addressed American Jonathan Pollard who was released on parole after serving 30 years in prison for spying and handing over top-secret classified information to Israel. “The people of Israel welcome the release of Jonathan Pollard,” the PM said in a video statement. “As someone who has raised his case among successive US presidents many times, I longed for this day,” Netanyahu continued. The former intelligence analyst for the US government was arrested in 1985 and pleaded guilty in 1987 to charges in violation of the Espionage Act. He was first and only American to serve a life sentence for leaking classified information to an ally. Pollard’s sentence has remained a contentious issue between the US and the Israeli government, which made several efforts over the last three decades to release him. Pollard was granted Israeli citizenship in 1995 while in jail, and plans to move to Israel where he is expected to receive significant back-pay from the Israeli government, according to Israeli daily Haaretz. Israeli media reported that Netanyahu requested Israeli politicians to subdue their public responses to Pollard’s release out of fears that doing so would prevent the US from potentially allowing his early release to Israel.